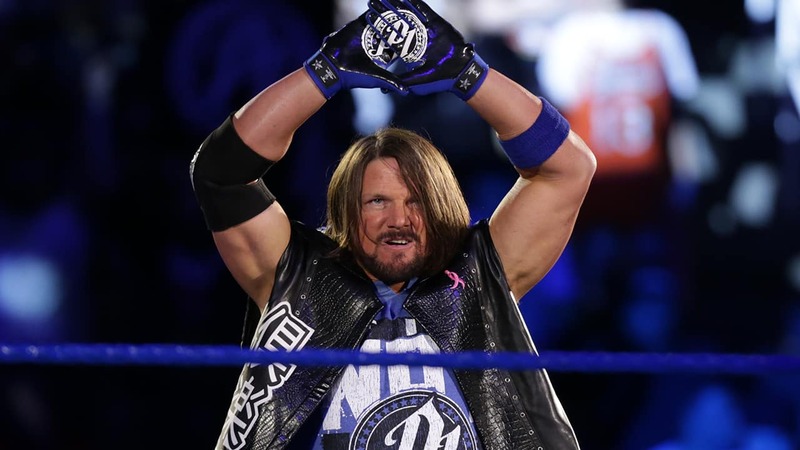 Tonight’s episode of Smackdown will see AJ Styles return to Smackdown to address the promo from Samoa Joe last week. It was a deeply personal shot at Styles and his family and everyone is expecting an equally harsh response. The Rusev/Lana/English program is looking a little stale and could need a serious boost tonight. Missed out on Raw yesterday? Catch up here and send me your thoughts on Twitter. Orton recapped what he did to Jeff Hardy last week, saying that he “erased The Enigma” and that Jeff Hardy is now looking for his identity. He continued by saying that he doesn’t get the respect he deserves from anyone despite being such a decorated superstar. The crowd got right behind everything Orton was saying until he turned on them, blaming them for his own actions because they put so many superstars on a pedestal. A fairly simple promo from Orton, if anything it was a repeat of last week. It does give the WWE the freedom to now integrate Hardy into the Woken Universe while also freeing Orton from any kind of creative constraints. He can essentially pick and choose his fights now and just claim that the crowd made him do it. I’m sure the feud isn’t done yet but it seems obvious that Orton will come out on top of this one. The two awkwardly try to explain what happened last week and Charlotte apologises and she had no intention of getting in the way of the Summerslam main event. Lynch comes across as a good babyface and describes how the mountain just got a lot harder to climb now that it’s a triple threat match. This could be building towards a big pop for Lynch if she does win the title and it seems like the right time for her to take the gold while potentially turning Charlotte heel. Carmella joined the call on commentary and continued to put in some great work putting over the triple threat match at Summerslam while running down Tom Phillips. The IIconics came out and semi-awkwardly tried to bury Becky Lynch on the way down by playing some word association. “Orlando, saddest place on Earth. Charlotte Flair, bad dancer, lost to Carmella twice. Plenty of boring chants were coming from the crowd and the promo seemed heavily scripted and not quite suited for the pair, but they finally got to the point as they pointed out that Lynch was once again in Charlotte’s shadow. At least it was a strong finish to a weak promo. The match itself was quite simple with Flair hitting a moonsault and then locking in the Figure-8 pick up the submission victory. Lynch and Flair stood together at the end of the match with no back-stabbing drama… yet. A funny promo from The New Day who had Kofi Kingston interview instead of Renee Young. They quickly discussed The Blugeon Brothers and cut a quick promo on their match with The Bar later tonight in the WWE Smackdown Tag Titles tournament. In classic New Day fashion, it was over the top but still pretty funny and a good change of pace. Big E is underrated on the microphone. You vs. @mikethemiz is HAPPENING at #SummerSlam! Nothing special here from the Miz, just his usual burying of Daniel Bryan before confirming that the pair will finally face at Summerslam. The pair are walking backstage and Flair is excited about how well they performed as a tag team. Lynch meanwhile was hesitant to put too much into it knowing that they’ll be opponents at Summerslam. Styles returned to respond to the harsh promo from Samoa Joe last week, saying that last week it got personal. A great response from Styles which hit the nail on the head and it’s incredibly easy to be invested in this feud despite the pair never actually sharing the ring (yet). “We all make sacrifices as parents, that’s what I’m supposed to do as a father, that’s what I’m supposed to do as a real man. “I celebrated 18 years with my wife on August the 5th. But here’s the truth. The reality is, my wife is basically a single parent because I can’t be there. “Over a decade of friendship, you threw it all away in a matter of minutes because you mentioned my family name. Incredible promo from Styles and the fans were right behind every second of it. The program with the trio finally got a good push with Rusev apologising for not being at ringside last week in Lana’s match against Zelina Vega. Lana forgave him then Aiden English came to apologise as well for everything that’s happened over the past few weeks and it was probably the most genuine apology I’ve ever heard on WWE TV. Rusev and Lana forgave him, but still suggested that he stays backstage for Lana’s rematch against Vega. This was definitely the move that this program needed, given that there’s no positive outcome if Rusev Day gets broken up. English even acknowledged it, saying that he doesn’t know who he is without Rusev and Lana. Just when I thought everything was okay, it took another sour turn. Almas was close to pushing Lana off the top rope and English rushed out to make the save, but pushed Almas into the ropes, causing Lana to fall off the top. Vega took advantage and hit her in the corner with the two knees. English was visibly frustrated and the story is very slowly gaining some momentum after his apology prior to the match. Nakamura started off by saying he’s going to erase the rest of Jeff Hardy at Summerslam before R-Truth and Tye Dillinger interrupted. Truth wanted a match at Summerslam for the US Title and said that he’ll get it the same way everyone else gets a title shot, by pinning Carmella. Nakamura leaned in and said something in Japanese to R-Truth to which he gasped and said he couldn’t repeat what Nakamura said on TV, but he wants a match tonight. Good to see Truth back on TV and performing, this was a hilarious segment and everyone played their part perfectly. Saxton questioned The Miz as to why he wasn’t there tonight to which he replied that it’s because he’s a star and then continued to promote Miz&Mrs. When finally questioned about his match with Daniel Bryan, Miz finally snapped and the promo stepped up another level. After more strong words from Miz, Bryan came out of nowhere and attacked him and the security guards. Miz smashed a glass vase into his back before stumbling off the set with his security. Phillips and Graves put over how obsessed Bryan is with The Miz and how they’ve never seen such an aggressive side of him. A simple match that really just served to get Nakamura onto the show. Nothing special outside of a modified triangle chokehold that Nakamura may use against Hardy at Summerslam. Always good to see superstars varying their moveset, especially Nakamura, who didn’t necessarily need it, but its’ certainly welcome. Another simple match designed to get The Blugeon Brothers back onto the show but also to remind viewers of just how dominant the pair can be. I think they should retain at Summerslam and then start another feud where they do eventually lose the titles, whether it’s to Sanity or The Bar for one last run. It would really have to be a triple threat tag match so that the BB don’t look weak losing the belts. Also note: the three jobbers aren’t actually called “Three Random Jobbers” but I’m copywriting that name now. The match started with the entire crowd chanting “we want pancakes” as Xavier Woods threw some out across the Amway Centre. All in all, a great match between the two sides with The Bar looking incredibly ruthless with their moves, especially Sheamus who looked to be on another level. Kofi Kingston started the match but was essentially removed from the match after a beating on the outside. Big E stayed in the match and survived a superplex from the top rope followed by a knee drop from Sheamus. “This is awesome” chants came from the crowd with plenty of near falls. Kofi finally got back into the match with a hot tag but The Bar took control once again – it was good that both teams had around 30 minutes to put on such a great match. Probably the closest near fall saw The Bar hit their finisher after pushing Kofi off the top rope, once again eliminating him from the match. Somehow he got back in the ring in time to make the save. After Kingston was taken out once again by Sheamus, Cesaro locked in a sharpshooter which he then transitioned into a sharpshooter when Big E got close to grabbing the ropes. Big E powered his way out of the hold and Kingston tagged himself in after taking out Sheamus on the outside. The pair hit Midnight Hour as they picked up the victory in a fantastic tag team match. The New Day are heating up heading into Summerslam, but I don’t think they could topple The Blugeon Brothers… yet. It was a great finish to Smackdown and it was good to see the Rusev/Lana/English program get a little bit more direction. Plus a great promo from AJ Styles really made this episode of Smackdown one to remember. But a match between Nakamura and R-Truth really didn’t do much and The Blugeon Brothers made a nice cameo but surely they need to beat superstars who aren’t just jobbers. Let me know your thoughts on the episode on Twitter! If you missed Raw yesterday, check out what happened here.